Our Corrugated Profile is rolled in house with COLORBOND® or Zincalume® Steel coil which comes in 0.42mm or 0.48mm both with 0.762mm coverage. The profile holds the perfect combination to fit any of your roofing needs whether you’re looking for traditional or contemporary design corrugated roofing has long, wide, strong, lightweight profile that is both economical and quick to align. The corrugated profile can be used for not only roofing but versatile to wall applications, sheets can be configured flat or sprung curved for increased versatility. The product is available to custom cut up to 24m long sheets with a full range of COLORBOND® steel colours and Zincalume® steel. 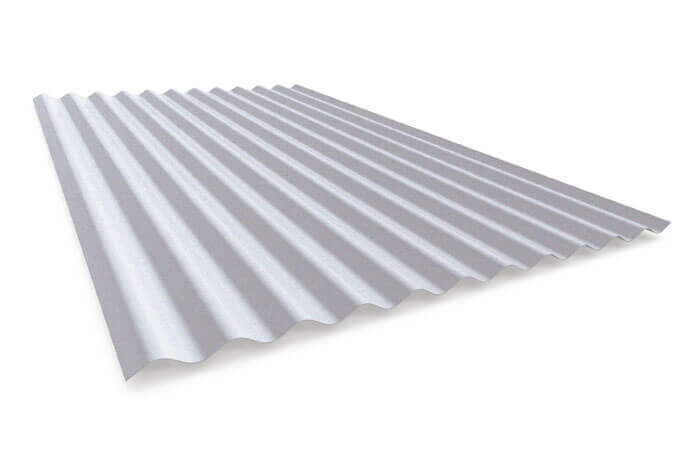 Corrugated metal sheet roofing for Sydney is ideal for buildings that have steep slopes. Water runoff will drain rapidly, avoiding standing pools of water and possible water damage. HMR Supplies’ corrugated metal sheets reduce sound from rainfall, are durable and come in a range of attractive colours, ready to fit into a predetermined architectural design. Colorbond steel proves highly robust in Australia’s harsh climate, having been rigorously tested in real-world conditions. There’s a reason Colorbond is a household name. These roofs will help prevent rot and are less vulnerable to termites and other insects. Our corrugated metal roof panels for Sydney customers are not only durable, they are also affordable. HMR Supplies will help you deliver your next project to budget by offering a 10% discount on any competing prices. For a free, no-obligation quote on corrugated steel roofing for Sydney, call 02 9771 3777.